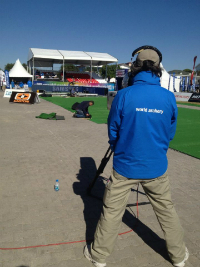 ACTA Medya Turkey: live camera broadcast and production. 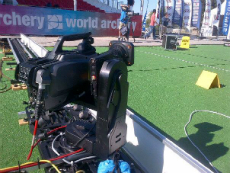 ACTA Medya has provided the live broadcast and production infrastructure of the World Archery Championship that took place in Belek-Antalya between 29 September-6 October. 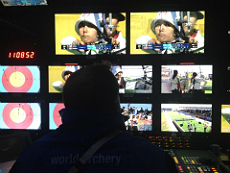 The event was broadcast by Eurosport and Archery TV live and transmitted to international TV channels via EBU as daily summaries. Nine HD cameras were used during the production that was executed by ACTA Medya and Hit The Roof co-operation. During the broadcast of the championship 1 robot carriage camera, 3 minicams, 1 steady cam and 4 production cameras were used and 30 team members took part in the production. ACTA Medya had also run production and co-ordination of the Fetih Archery Cup that took place on 29 May.